When I [Editor Steve] began looking at the role of equity capital in companies, I started out feeling sympathy for company directors, like those of Tunstall, which run businesses saddled with large debts. However, I have learned a few things along the way and my sympathy has evaporated somewhat. The first set of accounts, for Tunstall UK, gives a rosy picture. Profits of £28.7million before tax on turnover of £86.4million. However, Tunstall UK is just one part of the UK-based Tunstall Group, which made the astonishing — to me — loss of £84.1million on a worldwide turnover of £141.7million. How was this loss achieved? And — this is where my accountancy friends tell me my lack of company finance understanding kicks in — how come a company in this position can still be a going concern? Looking at the Group’s accounts, these show that Tunstall Group’s companies did well in the UK, made small profits in Sweden and Germany and a small loss in the rest of Europe and the world. The overall operating profit was £31.3million, which was reduced to just £2.2million by the application of some technical adjustments such as the amortisation of goodwill, the value of which they have to bring down each year. So where did the £84.1million loss come from? Simply, there were interest payments of £87.5million. The accounts list the various loans but, cutting through the detail, it appears that this is the cumulative cost of the private equity financing the company has received over the years through its various buy-outs. If you marvelled at Malcolm Glazer’s purchase of Manchester United with borrowed capital, on which the club has to pay the interest (Wikipedia), you will be familiar with this principle except, of course, the majority of Tunstall is owned by equity capital company Charterhouse General Partners (VIII) Limited. This is where the topic of company financing got interesting and somewhat mysterious, for me. If I, as an individual, wanted to raise a substantial amount of capital I’d probably have to stake my house against the loan. It’s a tangible asset that the loan owner could sell if my finances go belly up and I can’t keep up the payments. According to the Tunstall Group accounts, its borrowings in 2009 were £607.2million. So what assets are company loans are set against? Tunstall’s tangible assets are valued in the accounts at £12.7million. The rest, £453.7million, are intangible assets. Ah! The magical world of company finance! Intangible assets are the part of a company’s value that arises from the skills, knowledge and creativity of its staff, its business goodwill, and its intellectual property such as copyrights, patents, trademarks and brands. These are all the things that the private equity companies have paid for to generate future profits. They hope. In effect, private equity companies gamble that the intangible assets will grow their portfolio companies so that they can recoup their capital with a nice profit when they sell them on, probably leaving the companies with yet more debt in the process. If the companies do not perform as expected the private equity companies have the options of hanging on, selling the companies off cheaply, or cutting their losses and pulling the plug on them. As long as the equity companies have backed more winners than losers they will do alright. My commercially savvy friends tell me that it is not uncommon for companies to carry high levels of debt. The important question is whether their underlying position is sound and reliable, or whether they are shaky. They also tell me that the robustness of a company’s cashflow is the most important survival factor. What I have learned, therefore, is a cautionary tale for any company which wants to sell equity to raise capital for growth. Without strong cashflow, the equity debt you have incurred can reach levels that you can never pay off, and can eventually cripple you. To round off this cautionary tale, let’s look at how Tunstall is doing in the cashflow stakes. Well, profits are not the same as cashflow, but without them, cashflow flounders. In their report in the Group accounts Tunstall’s directors describe 2009 as “a challenging year”. But in that year Tunstall UK was still earning well in the aftermath of the UK Government’s £80 million Preventative Technology Grant (PTG) and from the Whole System Demonstrator sites. In fact, their gross profit on UK sales seems to have been in the order of 32%. The PTG (2006–08), plus NHS PASA’s now evident inability to negotiate a truly good deal for councils, etc. in the Telecare National Framework Agreement, as witnessed by the size of Tunstall’s gross profit, must have been a godsend for Tunstall’s cashflow. Not all companies will have such a fortunate combination of circumstances when they need it. So…to answer the question that had been bugging me, “How come the directors of a company with such a level of debt can still call it a going concern?” My best guess is that if the losses relate to interest payments and not operating costs, then the underlying business is considered to be sound enough. With a large profit margin, they may be right. So no, I don’t feel sorry for them. Here are links to download the accounts used to illustrate this item: Tunstall UK 2009 (PDF), Tunstall Group 2009 (PDF). Any Telecare Aware readers who draw different lessons from them or from experience of companies in similar situations, are welcome to add their insights via the comments box below. Please note Telecare Aware’s anonymity policy, in the right hand sidebar. Steve, That’s quite an eye opener! I don’t either have the knowledge to comment on the funding issues you raised, but I did note in the accounts that in 2008 Tunstall paid £168 MILLION for the RTX solution. No wonder they wanted to keep it quiet at the time. I bet they could have bought a white label version of a similar technology for much, much less if they had asked around! Makes you wonder how much Bosch paid for Health Hero and VitalNet. At least they came with the VA book of business and a customer base of what, 50,000 patients between them plus working technology (similar to RTX’s technology?) Would be interesting to compare before knowing if Anon was really right to be surprised by the cost. How can a company with accounts such as this be involved and be winning NHS tenders. The NHS tender process requires them to look at the company account of all bidders and it is very clear that Tunstall is a risk and should not get past the PQQ stage. I wonder has the ECCH in Northern Ireland looked into the accounts of this company. £168m for the RTX and 32% gross profit margin means Tunstall have to sell more than £500m to the PCTs and Social Services to have a return on their investment. Considering this is based on gross profits and additional interest payments have to be made to their financiers (more money flowing out of the UK economy) some sceptics would question long term viability. No wonder they have teamed up with Ernst & Young! Caveat emptor. I’m getting fed up with Telecare Aware’s Tunstall bashing. I think you should lay off. It’s a company thats done a lot of good for a lot of people. John (B) – I must refute your assertion that Telecare Aware goes in for Tunstall-bashing! I do consider Tunstall’s “It’s all about us” approach to press releases fair game (along with everyone else’s naff press releases) for a bit of fun-poking, but I’ve never had reason to criticise Tunstall or its products. Indeed, I think in my Soapbox item above it is clear that I have a sneaking admiration for their directors who are having to steer their way through the difficult situation they find themselves in. I’m also always mindful that the telecare market would not be what it is today without the company’s efforts over the past two decades, and because of that we, and probably millions of people, have benefited. Any study of high-tech companies will show that even amongst their loyal customers – never mind their competitors – dominant market leaders generate strong feelings of both liking and loathing, and Tunstall is no exception. There may be times when that divided opinion is reflected in Telecare Aware…see the comments above!… BUT what’s the point of being independent if we can’t call it as we see it? 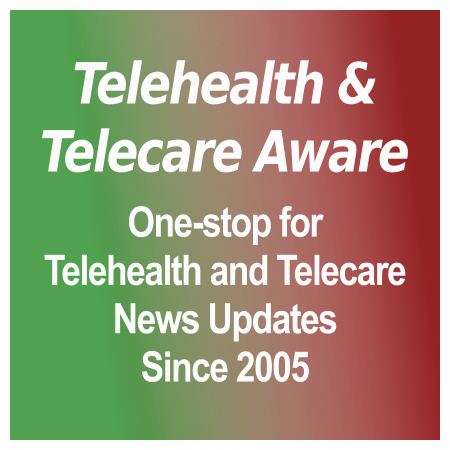 The purpose of Telecare Aware is, may I remind everyone, to “help suppliers and service providers around the world keep up to date with what each other are doing” (About Page). Maybe I should add “and thinking”. If Telecare Aware does the latter then it’s doing a market intelligence service for which I think companies should be grateful! I totaly agree with you Steve. I have found this site very informative and gives a useful insight into the industry. Like you say, any dominant company, in any business sector, will have people who either like or loathe them. All you are doing is providing information that is already in the public domain. As D Frank says the only winners will be the equity capital company who will take all the profits to repay the loans. I wonder how much they will re-invest for future development?? I don’t think you need to understand finance to see what is going-on, just an understanding of human nature will do. Our anger at Tunstall really belongs with Charterhouse? Those M&A* financiers operate to an unusual agenda, far from helping competition, their aim is to create monopolies. It is inconceivable that aquisitions made by Tunstall could be done without the financiers approval. The debt was allowed to grow to that extent (in times of easy credit), because the strategy is simply to be the company that dominates this market, providing superior returns in the long term whilst controlling market developments. Don’t forget also that current losses can be offset against future profits for tax purposes. In the meantime the NHS is taking up the slack on their P&L account. As you say, Steve, you have to admire them really (if we didn’t have a conscience!). John S, I agree with you that Tunstall should not have to run their business in a charitable way. However there is a major difference in the pharma sector currently to that of Telecare. Pharma suppliers have for many years sustained extremely high development costs to bring each drug to market; partly in demonstrating the safety of each drug. So perhaps reasonable for them to take high profits? More recently, because this cost means drugs are not being readily produced for third world countries where treatable diseases kill all too readily, academia has stepped in – pre-development work using non laboratory time (through data mining and bioinformatics analysis and prediction techniques) has seen the pharma sector work in partnership with academia to develop ‘cheaper’ (relatively) drugs. 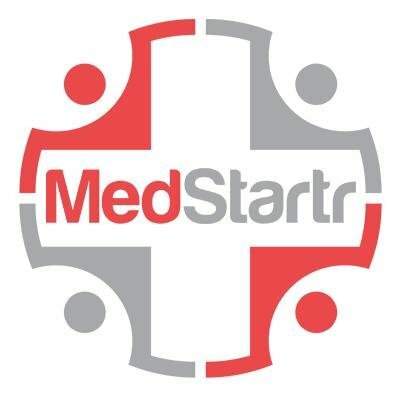 Since we do not have such stringent safety issues for Telecare equipment it is unlikely that the status quo will change; consequently companies will either develop and market their own solutions or they will let someone do the development and then buy them out and take the profit from the marketing. Both approaches carry risk … but that is part of business and part of life? If the products and services stand up to scrutiny and serve the intend purpose we should expect to pay the market rate.